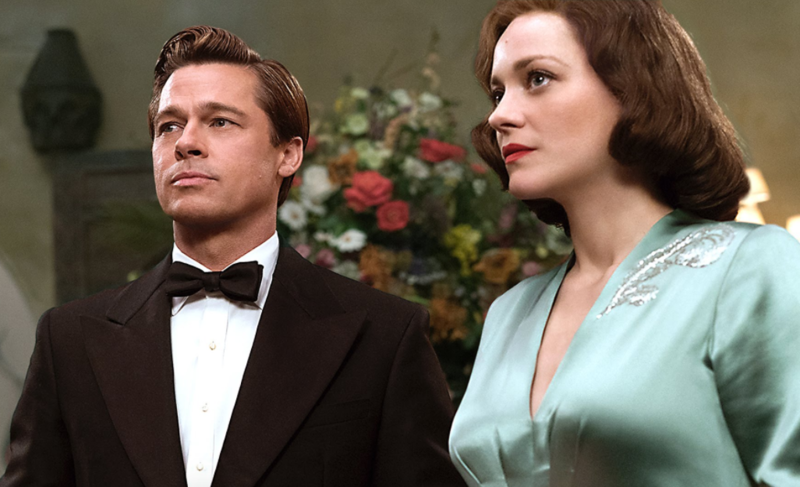 Brad Pitt and Marion Cotillard muster up dampness, not steam, in Allied. Espionage and love are fundamentally so at odds with one another that their dichotomy might make a wonderful film someday. Allied isn’t that film, and one of the principle reasons for it is that Robert Zemeckis’ movie fails on both fronts individually so what hope does it have of successfully engaging in them together? Love and deceit are two of Hollywood’s oldest and most beloved motifs. Has Zemeckis spent so much of his recent career involved in technical sophistication that he has lost sight of cinema’s fundamentals? Perhaps, but that certainly isn’t not the only problem that plagues Allied. Superficially, the film is a retrogression to a classic form of cinema that doesn’t get made much anymore, if at all. Casablanca is the most immediate example in terms of inspiration but there are influences abound and Allied wears them on its sleeve. But it’s not enough to technically and tangibly create a film on the model of those wonderful movie if you want to make a wonderful movie. Zemeckis knows why Casablanca was a classic, but his appreciation of another film isn’t going to translate into his own without the benefit of adequate filmmaking and insight. Robert Zemeckis has always been a name at the fore of technical wizardry, but he may have begun to let special effects get the better of his creative sensibilities. He released a succession of films (The Polar Express, Beowulf and A Christmas Carol) with a misguided enthusiasm for motion capture that wasn’t matched by audiences. His next two films, Flight and The Walk were meandering diversions that revolved conventional entertainment around technical set pieces. 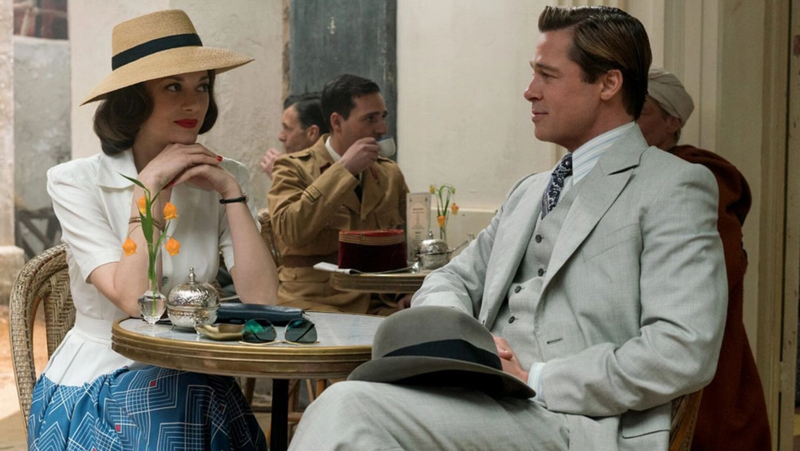 Allied may be Zemeckis’ most technically subdued film since Cast Away in 2001 but perhaps that says more about his career than any lack of spectacle here. There is a lot going on visually in Allied (including, perhaps but maybe not, computer work on Brad Pitt’s face to make him look younger), when it ought not to have. Here is a man that might have become incapable of recognising a story that doesn’t need ostentatious effects work. It might be too simple to blame the blunt detachment of Allied on Zemeckis’ misguided focus but it’s also probably not too far off the mark. Love and espionage are the two constitutional elements of the film and neither ought to require computer imagery. Allied certainly doesn’t understand either. For a wonderful film on the subject of espionage, look no further than Tomas Alfredson’s Tinker Tailor Soldier Spy. That’s a film that comprehends that there’s no room for love in the world of intelligence. Allied insists that there’s plenty of room for it, even when by virtue of its subject matter it constantly contradicts itself. It all might not have mattered had the relationship between Pitt and Cotillard’s characters had some romantic functionality. It doesn’t, although the narrative doesn’t seem to notice the lack of amorous intensity when they make love or they get married. Audiences may not be so readily susceptible to such dispassionate passion. This is an instance in which the prospect of watching stars as glamorous as these fall in love is a far more exciting experience than the process of actually watching it. There are few films in recent memory that tow the line of mediocrity so convincingly. Allied is neither good nor bad and its quite fierce in its averageness. There’s a real appreciation for great cinema across all aspects of the filmmaking process here without any of it converting into much value in its own right. Allied is never in complete command of itself, It’s a shame, because there are types of films that they simply don’t make anymore, and until now this was one of them. There’s one thing that Allied get right though – Casablanca is a wonderful film.